Happy Sunday everyone! Today I want to share my progress with my still kind of new Japanese Nintendo 3DS. I love it! I think I'm braver in checking out new menus because I don't understand the language as well as English, and I'm going on the basis that it's almost impossible to mess up either the system as a whole or the individual games. 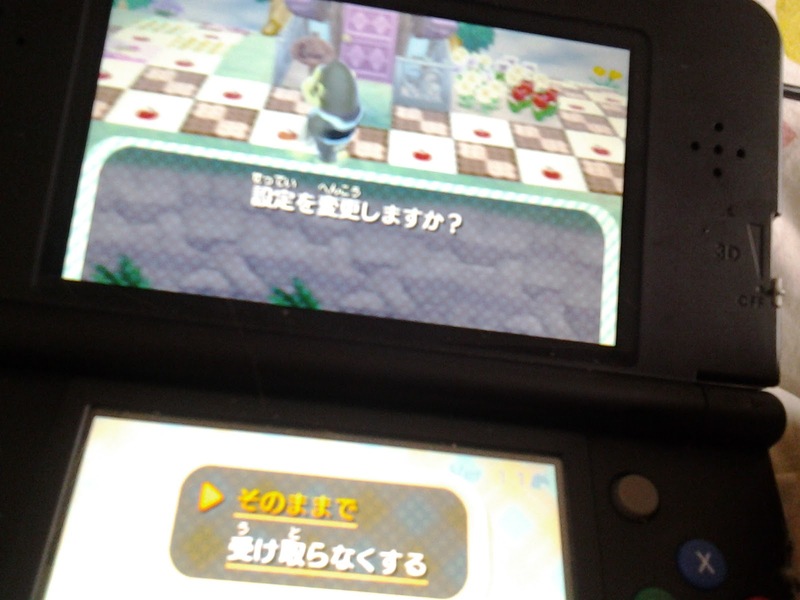 Since in English if you want to do something drastic like delete game data you get a few dialogue boxes asking if you're sure & really sure, anything that I do in Japanese is fine so long as there's only 1 dialogue box! Using that theory has worked well, I've discovered how to see how many hours I play on each game (So far Animal Crossing New Leaf is in the lead, but post Ramadan Aikatsu My No.1 Stage is catching up rather quickly!) I'm not sharing that information yet. If ever. 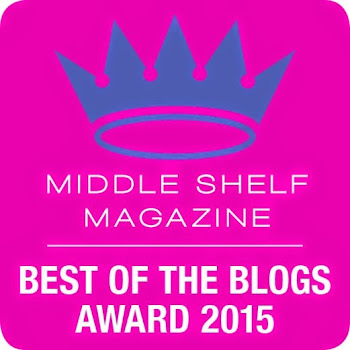 Because it's a lot! I game when I'm tired and ill, which is a lot, so I guess overall it's not that bad. Some details shall remain secret for a reason! Not all my hours are accurate. Due to weak hands I also play on a family member's 3DS - theirs is in English, thankfully. I clock up several hours a week game time on their console. It makes it a good thing that my yummy fruit (special fruit? it's yummy fruit in Japanese) trees keep producing yummy fruit which sell for a higher price in my family's town, as they save me having to catch loads of bugs and fish, which is fun but takes time. 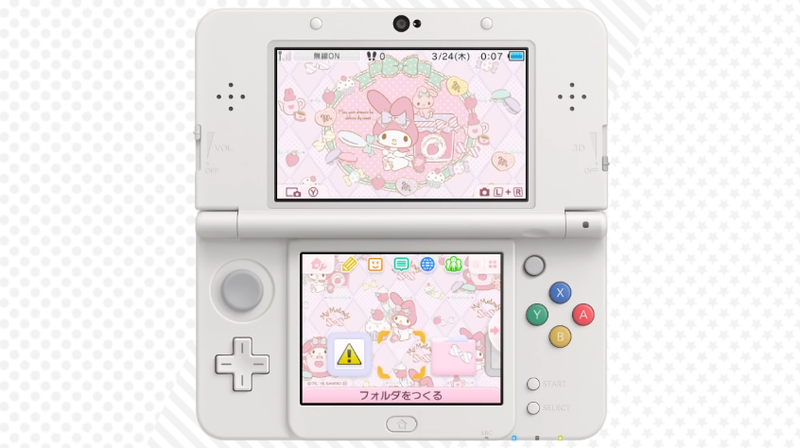 I did purchase a super cute background for my 3DS - it's My Melody! It's a bit more exciting than a plain background. 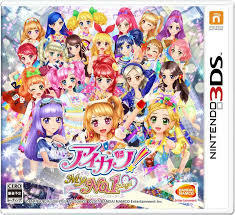 There are Aikatsu! backgrounds, but I wasn't 100% keen on how they looked - I love Aikatsu! but sometimes the pictures just aren't to my taste. 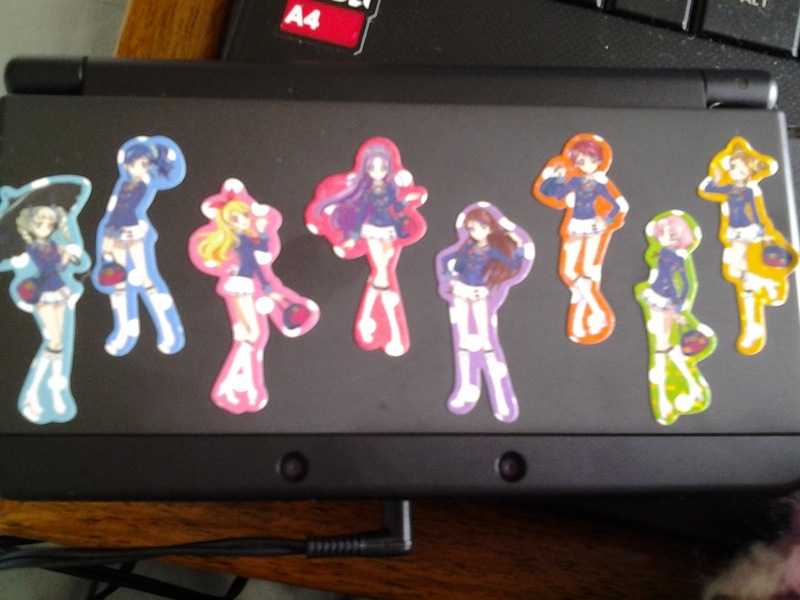 Speaking of Aikatsu! I am slowly getting to grips with both Aikatsu! My 2 Princesses (or whatever the odd title is) and Aikatsu! 365 Idol Days. 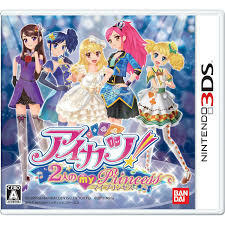 My favourite is Aikatsu! My No.1 Stage because it's all about the singing. All I do (for 3 different style of auditions) is the dance sequence, which involves pressing the right buttons at the correct time while the original songs play. There's the outfit choosing too which is so much fun! The other two Aikatsu! games are slightly different. They aren't all about the song and dance. There are other mini-games which are needed to level up and gain different dresses. Some of them are ok, some are really cool, and there are the ones I struggle with. I can't remember off the top of my head which of the following games are in each game - I'm not taking the time to figure out. But in either Aikatsu! My 2 Princesses and Aikatsu! 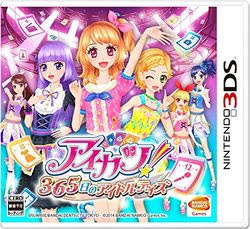 365 Idol Days there's a modelling mini game, where you walk down the catwalk and press buttons according to what comes up on screen. I'm not 100% sure what I'm doing. I understand the waving the correct hand when told to, and why getting lucky stars are important (they have something to do with being successful in the audition), but I'm not entirely sure about button pressing for different poses. Before I start I know what type of game it is (pop, cute etc), yet during the show I do see/get asked to do a pose that isn't the main type: if it's a pop game I can get asked to do a cute pose. I just don't understand it all yet. I nearly gave up on the game because I found this so hard, but after many fails I'm finally improving enough to pass most of those auditions. 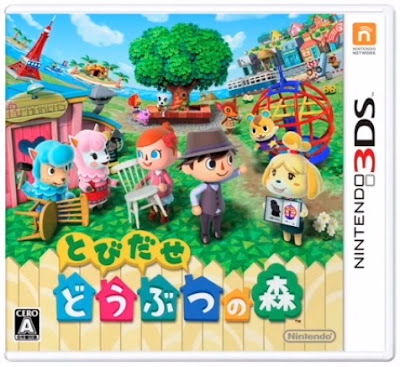 As for Animal Crossing New Leaf - there is so much to the game I'll leave it til next week. 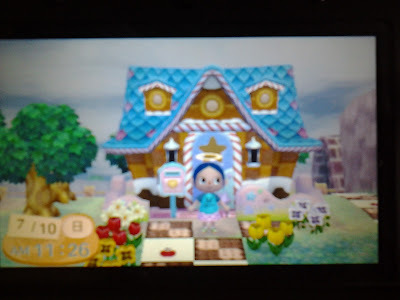 Until then here's a look what my house has looked like with expansions and exterior upgrades! I'm trying to collect the Mermaid set: I've got the mermaid fence, the mermaid door, the mermaid postbox, a sweet wall, a different roof). This photo took so long to load I'll show you the rest of the front room next time! Inside I've got the mermaid wall & floor, screen, chair, chest of drawers, lounger, wardrobe (about half for both inside and outside). 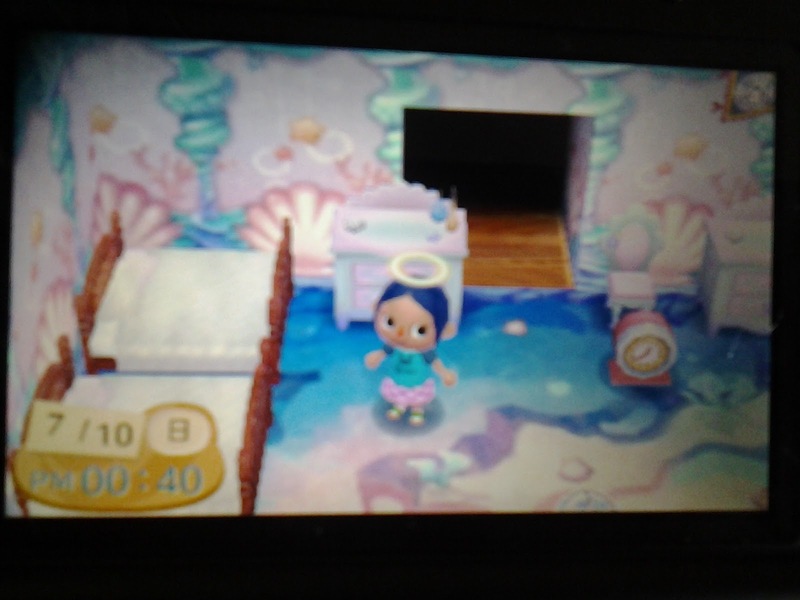 Unfortunately you can only get mermaid gear on the Island, and lately neither my island nor my family's Island has given new mermaid goods. I guess maybe I was just lucky so much appeared at the beginning. Hopefully I will get more of the collection soon. See you next week!